Have you ever wondered why the city of Marble Falls is named Marble Falls when there are no falls to be seen? 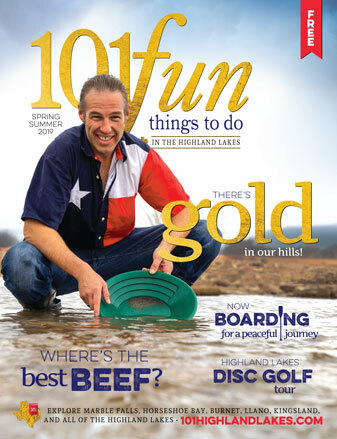 Well, actually, Marble Falls does have falls — at the bottom of the lake. In fact, those falls are what caught the attention of early settlers. As far back as 1817, it is recorded that the falls were so striking and prominent that early travelers used them as a landmark, referring to them as the “great falls” and the “marble falls” of the Colorado River. In 1854, Charles S. Todd was so smitten with the falls that he quickly began working to establish a town — referred to as “Todd’s village.” The town didn’t take off as he had planned. Very few homes were built, and, in 1880, the land was sold for taxes. But it just so happened that, in 1854, Adam “Stovepipe” Johnson also fell in love with the “great falls” of the Colorado River. The falls and the river never left his mind as he, too, saw the potential of establishing a town. Johnson wanted to harness the power of the river for hydroelectric energy. He succeeded, and Marble Falls became a city on July 12, 1887. 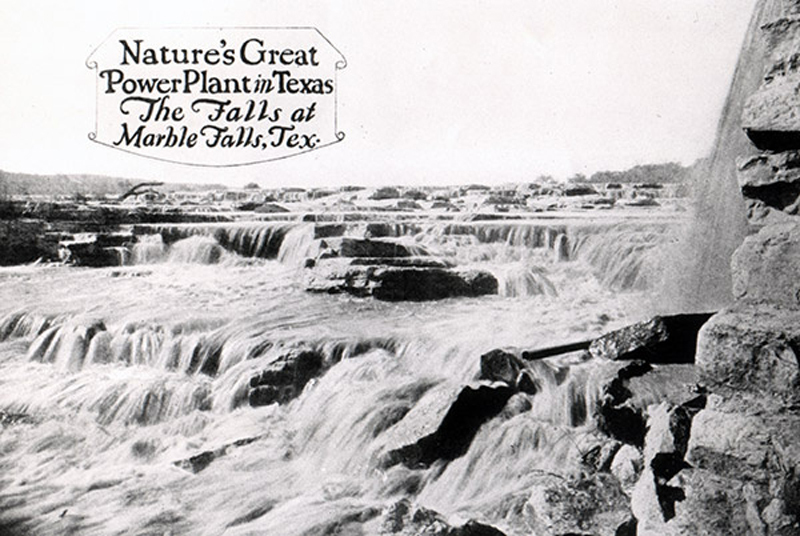 In 1925, a dam was successfully built to supply power to the Marble Falls Textile Mills Co. It was not until the construction of the Marble Falls Dam — later renamed Max Starcke Dam — by the Lower Colorado River Authority in 1951 that the falls were submerged. The purpose of the dam was to control flooding and harness hydroelectric power. The dams at either end of Lake Marble Falls allow the LCRA to control the water level and lower it on occasion for maintenance such as debris removal and dock repairs. Today, the once magnificent falls only peek out during these drawdowns when the lake is lowered about 7 feet. The latest drawdown of Lake Marble Falls started Dec. 30, 2018. 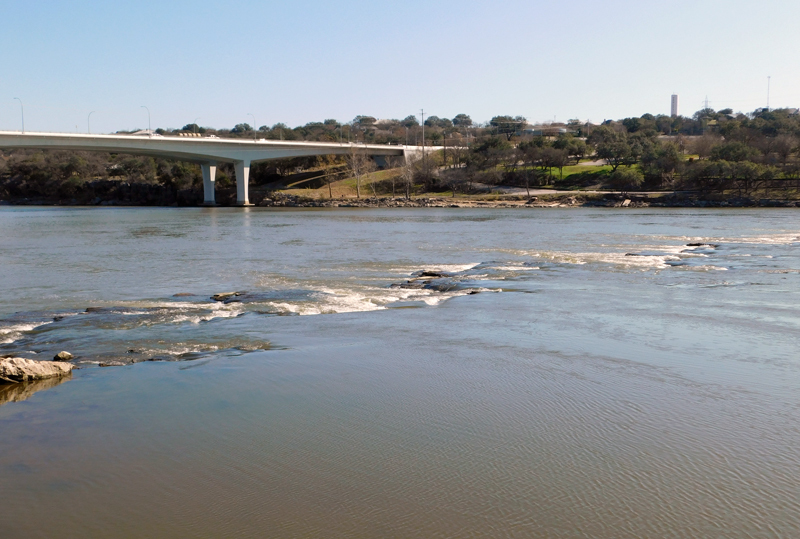 The falls should be visible up until Feb. 24, when the lake is scheduled to be refilled by the LCRA. Side note: The falls consist of limestone but were believed, by early settlers, to be marble as it was cherty and hard — apparently a common mistake. 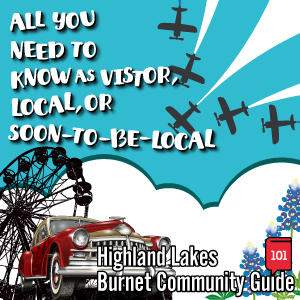 Being relatively new to the area, we were intrigued to see the falls peeking out from the lowered lake, and this article adds some valuable color to the story. I do wonder about the height of the falls...how much drop-off there is from top to bottom. It's hard to tell from the old photo, but it doesn't look like a lot. Anyone know the answer?